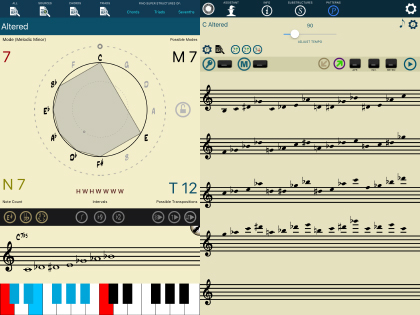 Music Scales & Modes like never before! 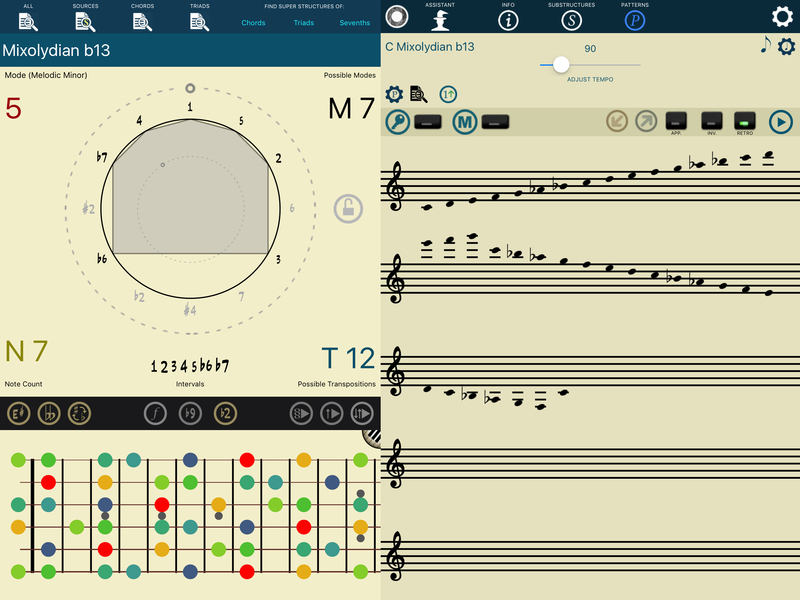 Study, practice and learn scales and modes like never before. 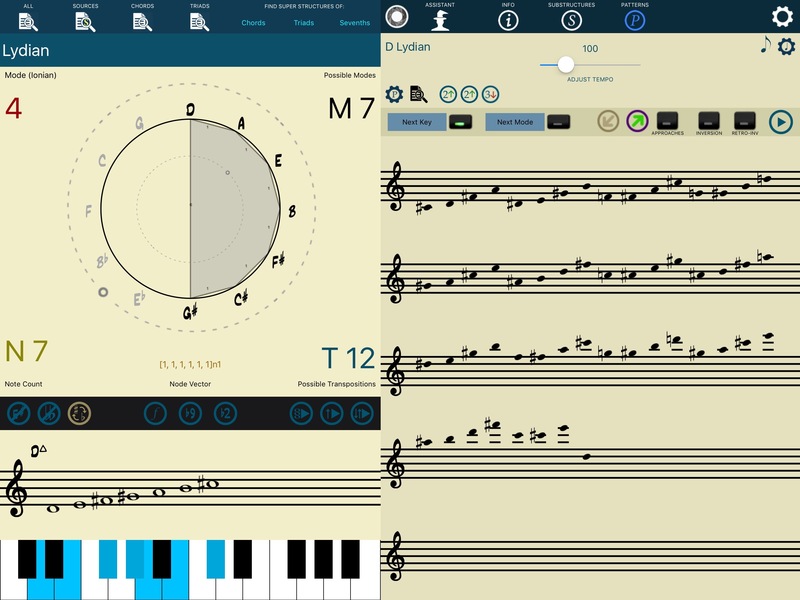 An extensive tool to study scales, modes and patterns to use in improvisation and composition. Music Theory done seriously! 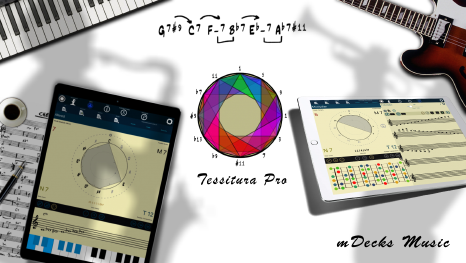 An endless source of materials to study and practice. 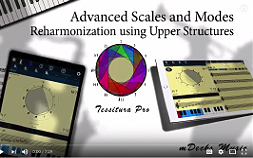 Learn music structures from a new perspective. 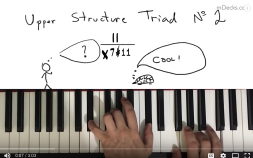 Understand the relationship between modes in structures. 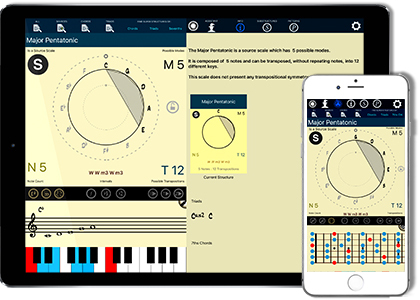 Develop your ears and practice scales, arpeggios, chords and any structure you can imagine. 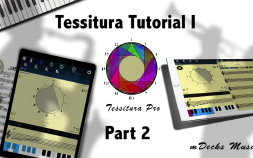 Use it as a source of inspiration for improvisation and composition. 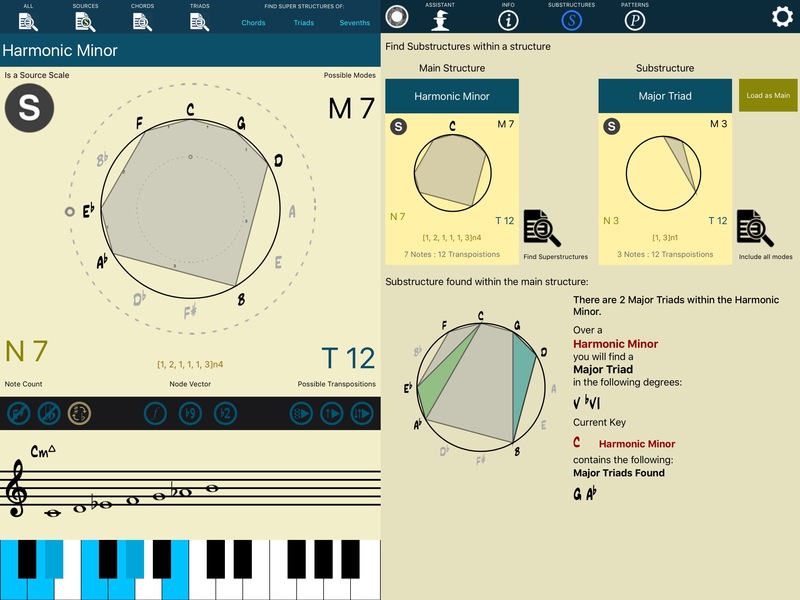 An app that takes on the world of music structures in a unique and profound way! 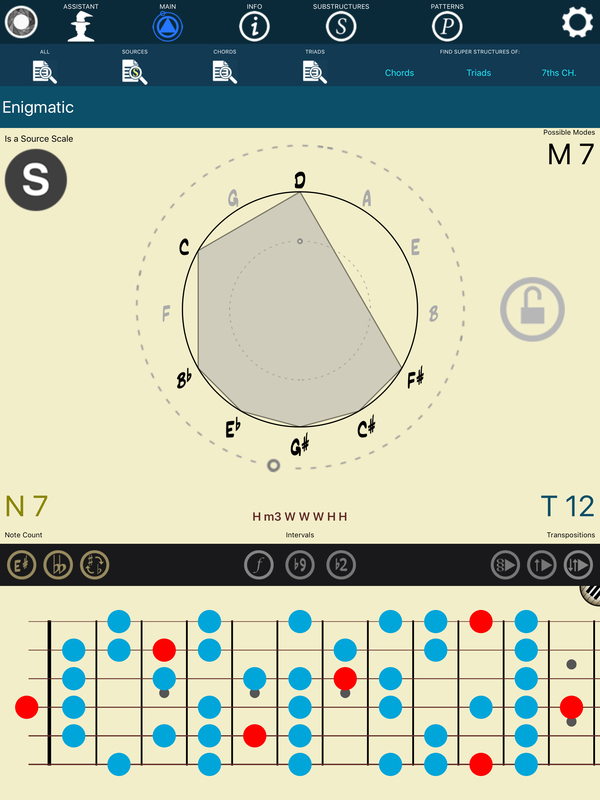 Learn all scales and modes. 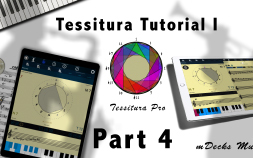 Understand the concept of source scales and music structures. Back to School Sale 50% OFF. Don't miss it! 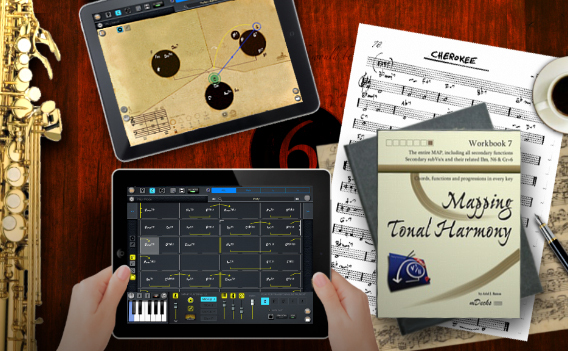 Mapping Tonal Harmony Pro is the most INNOVATIVE and EXTENSIVE music tool for musicians out there. 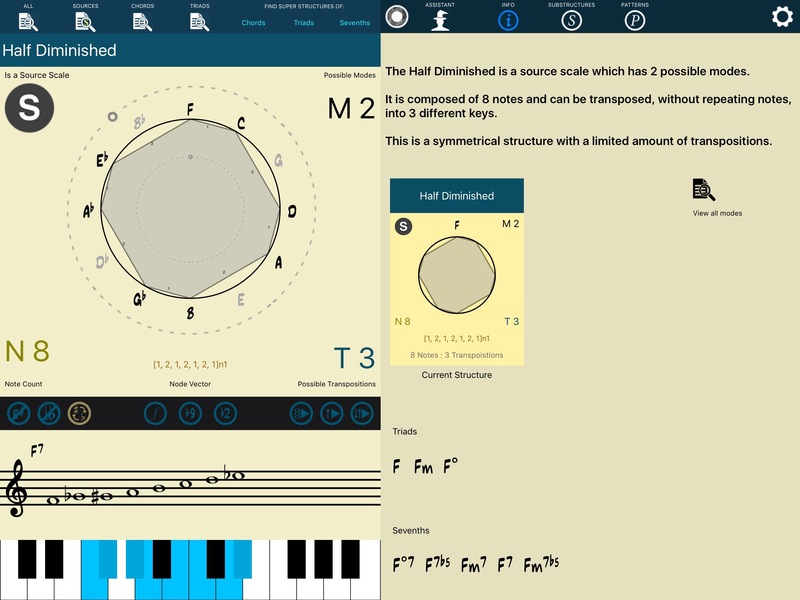 Write your own music using a map that reveals the secrets of tonality. 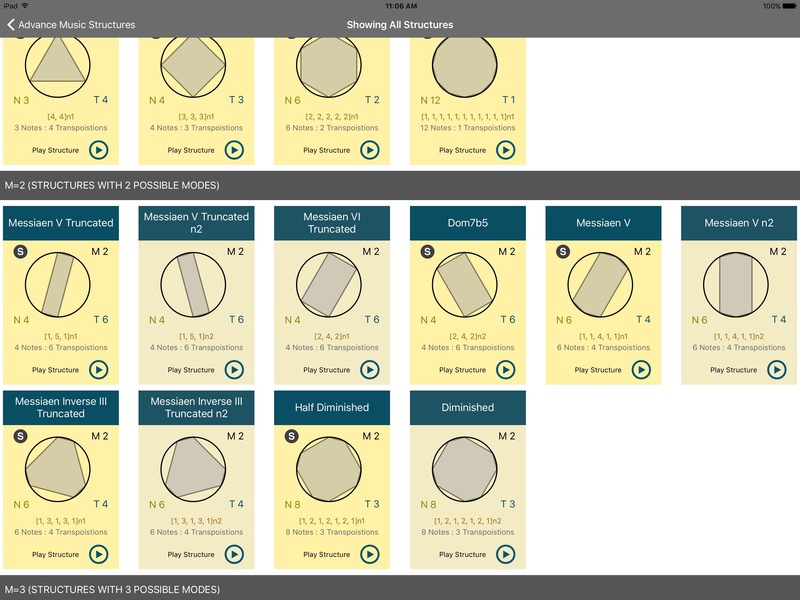 We've added the option of viewing the perfect fifths going counter-clockwise (circle of fourths) for those who are used to using the circle that way. 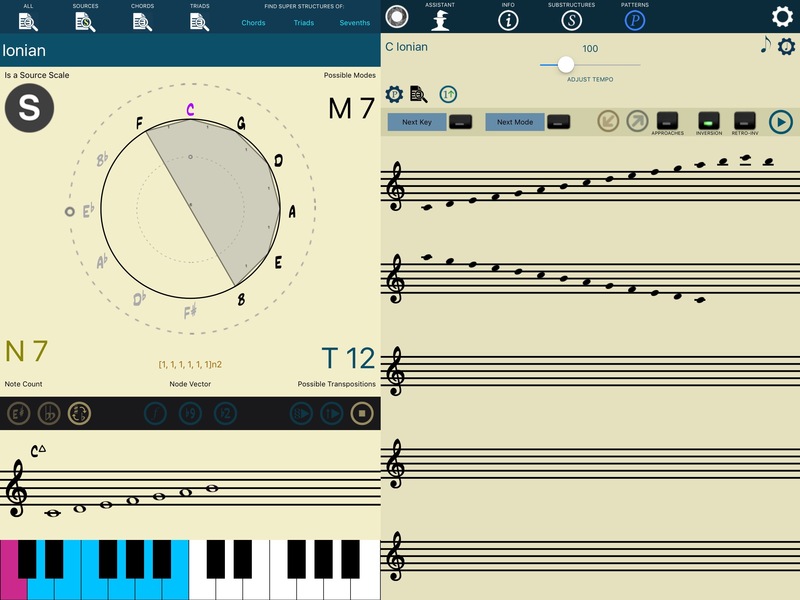 Choose your instrument's range, transposition and clef. 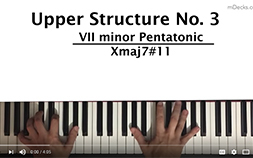 Based on the chord you can search for interesting structures to use in improvisation and composition. More demos available on our Youtube Channel. An example using Tessitura Pro to find USTs and how to practice them.